Susan spent years writing technical documentation and developing marketing materials for high-tech engineering firms. Even though she enjoyed working with genius engineers. She always suspected that writing fiction would be more fun, and she was right. She is now a fantasy/science fiction author living in Canton, GA with her husband and two cats. Susan’s love of creating plausible fictional cultures is rooted in her early college days as an archaeology/anthropology major. Articles and documentaries on the ancient Hittites, Egyptians, Mayans, or other extinct cultures still make her eyes light up. Her mind is usually wandering around the intersection of Ancient Aliens and Indiana Jones searching for nuggets of inspiration for a new story. Once while letting her imagination roam freely, she invented a children’s board game called Zombies at the Zoo, just for her family and particularly for a precocious little guy who had been watching The Walking Dead with his mom since he was four years old. It’s good, old-fashioned, non-terrifying, Zombie Apocalypse Fun. It may not be much competition for video games or an iPad, but it reinforces basic counting, matching, and alphabet recognition skills. Chocolate chip ice cream is her personal Kryptonite. When she’s not reading or writing, she’s binge-watching television mysteries and period dramas or going to the movies. Sadly, her cherished collection of nearly 400 Star Trek paperbacks and Star Wars collectibles stopped growing when she ran out of shelf space, but her adult children still quibble over who will inherit which items. When her schedule permits, she enjoys handcrafts like crocheting and quilting because it looks as if she’s doing something useful while in fact she is pondering how to work out tricky plot points. 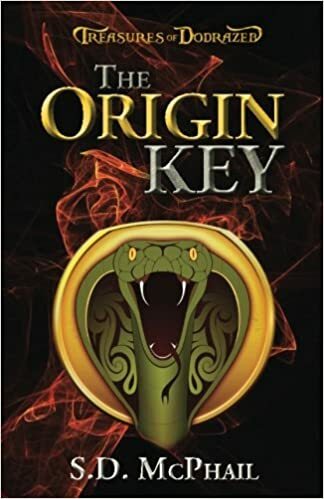 The Origin Key is her first novel, and is the first book in the Treasures of Dodrazeb series. The Treasures of Dodrazeb is for anyone who enjoys fantasy in a historical setting interwoven with compelling mystery. 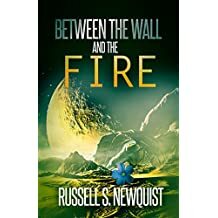 It chronicles the sword-and-science adventures of Persian warrior-prince Rasteem when he discovers a secretive kingdom deep in the Himalayas while pursuing a vicious assassin known as the Viper. 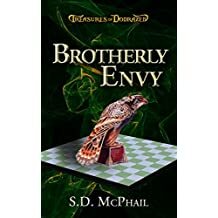 Inhabited by descendants of an ancient, scholarly society hiding powerful technology, he finds the people and culture of Dodrazeb are by turns fascinating and frightening. Is Dodrazeb hiding the Viper or something even more dangerous? At once drawn to and confounded by its strong-willed princess, the would-be conqueror has much to learn about the treasures hidden in Dodrazeb—and why the outside world isn’t ready for them. 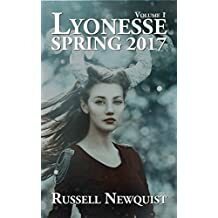 Susan has also contributed to anthologies compiled by Russell Newquist. She also penned a short story entitled Brotherly Envy, that is related to her novel The Origin Key. email her, or follow her on Twitter or Facebook at SDMcPhail. The moment I read the description of Susan’s novel, I knew I had to read it. It sounded like just the sort of book I enjoy. I’m now waiting eagerly for more books from this lady. 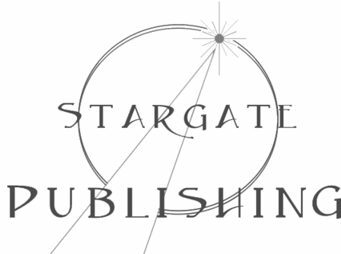 Now that my website is finally online, I’ve returned to preparing more of my books for revision and paperback publication. The one I’m working on at the moment—Names of the World—is a real challenge. How do you pack and organize more than 90,000 names, over 570 pages, into one volume, complete with reference material, several appendices, and bibliography? One of the things that amazes me about this work is that I actually typed all those names. I couldn’t do it now and am glad I’m only revising and formatting it now. The formatting is very complicated and there are so many pages to check, I feel out of my depth sometimes. However, it’s rewarding in one way, recalling the enormous amount of work—three years worth—I’d put in writing it. I always use this book as a reference when I’m looking for character names. It’s very useful to me, because I like to have a multicultural cast of characters. As soon as we get back to the states, I intend to buy both “The Origin Key” and “Names of the World.” must have these in my library!